This pooch is really doggone attached to his handler. 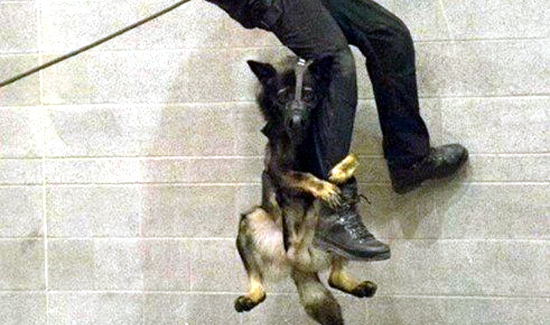 This awesome photo of a Vancouver police dog named Niko—seen holding on to his handler with both paws and wearing an expression of pure terror as they repel down a wall—has people cracking up. The Vancouver Police Department posted the image on its Facebook page last month, and it’s since racked up a number of likes and shares—likely due to the priceless look on Niko’s face.